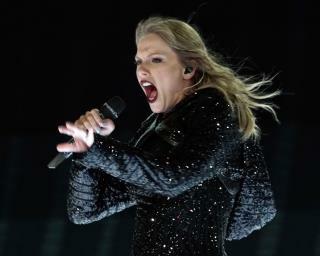 (Newser) – Taylor Swift came off the political bench last month to get behind the Democrat running for Senate in her home state of Tennessee, and with Phil Bredesen's loss Tuesday night to Marsha Blackburn there's no shortage of conservatives trolling Swift—and you'd be safe to cue a zillion references to bad blood. Chief among them was Fox commentator Laura Ingraham, reports the Hill, who tweeted "Hey @taylorswift13, haters gonna hate. #shakeitoff." Who is Taylor Swift? What song does she sing? This is pathetic. She has a right to vote for whomever she wants. Her candidate lost. Big deal. This is the kind of behavior Republicans say they hate. Win or lose, show some class and vow to work together for the common good. GOP candidates are now begging Swift to endorse their opponents.